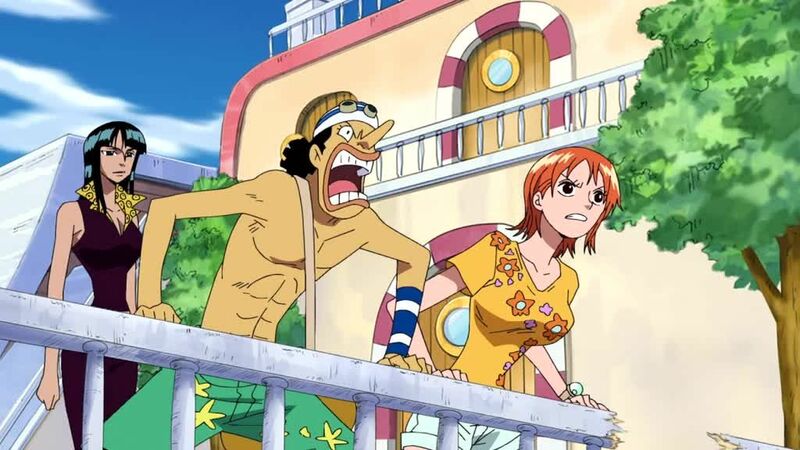 You are going to Watch One Piece Episode 389 English dubbed online free episodes with HQ / high quality. Stream Anime One Piece Episode 389 Online English dub Explosion! The Sunny’s Super Secret Weapon: Gaon Cannon. Duval reveals that he was once a small-time bandit until Sanji’s wanted poster came to light. Since then he hid his face with the iron mask until he would get revenge on Sanji. He then uses steel nets to nearly drown Sanji, until Camie saves him. And with that, Sanji deals a fatal kick combo at Duval’s face. Meanwhile, the Flying Fish Riders attempt to crush the Thousand Sunny, but with the newly installed Gaon Cannon, they were quickly defeated.